Jonathan graduated in Pharmacy from Sunderland University in 1996 after working in England and Australia for three years he returned to Carrickfergus and has owned and managed the business since 1999. Jonathan is a past President of the Ulster Chemists Association and he also works for the Health Board as the lead pharmacist on the East Antrim Intergrated Care Partnership. Jonathan is a director in PACT. Adam is in his seventh year with Carrickfergus Chemists after graduating with a 1st class honours MPharm from Queen's University in 2010. He is tasked with the day-to-day running of the business and has qualified with an advanced diploma in management practice through the University of Ulster. 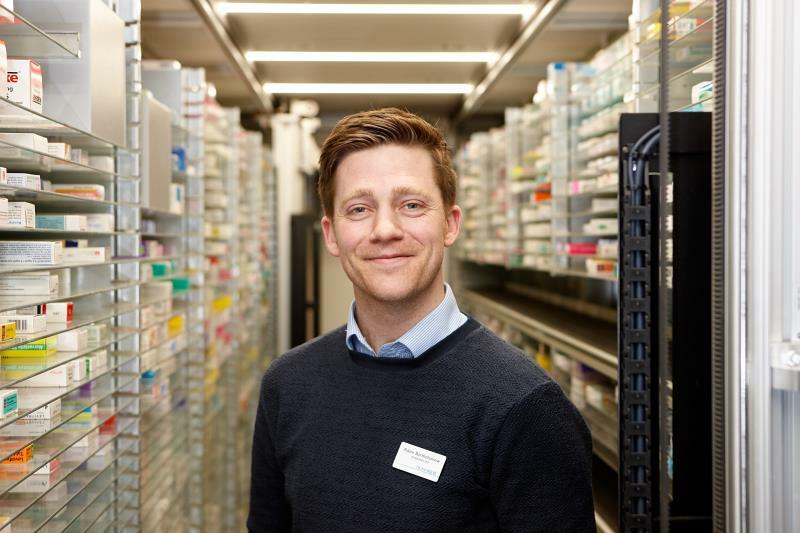 Adam is interested in service development and has been implementing the Flu Vaccination, Travel Health and Managing your medicine clinics within the pharmacy. He represents pharmacy within the Carrickfergus area in the IMPACT project running in the Mid and East Antrim area. Gayle graduated in Pharmacy with a 1st class honours from Queens University. She received an award in 2010 for â€œPromotion of Education & Pharmacy within the communityâ€�, as a result of her outstanding contribution and dedication to public education. Gayle works on the Building the Community Pharmacy Partnership and works with various community groups to improve the health of people who live in Carrickfergus. Kerry studied at Queen's University in Belfast and has been with the company for six years. She is actively involved in all areas of the pharmacy and has recently qualified as a Travel Health specialist, enabling her to carry out consultations and administer travel vaccinations and antimalarials in the pharmacy. Samantha is continuing her career returning as a pharmacist, having completed her pre-registration with the company several years ago. She is tasked with implementing the Smoking Cessation clinic within the pharmacy and is involved in many other areas on a day to day basis. Rachael has recently joined the team as a pharmacist on a part-time basis. She is involved in many areas of the dispensing process, including the repeat medication service. Lorraine has qualifications as a Medicines Counter Assistant & Dispensary Assistant. She works daily as a dispenser and manages the repeat prescription service within the pharmacy. Pauline is one of the most long-standing staff members within the company, having dedicated 36 years of service. She works on the medicines counter or in the dispensary. Fiona is one of the most long-standing staff members within the company, having dedicated 33 years of service. She has the ability to work as a Medicines Counter Assistant, though her skills are best utilised as a dispensary assistant. Fiona helps to manage the pharmacy stock control and leads on supplying dressings to the nurses and doctors within the Health Centre team. Emma has recently joined the team after working for Boots for many years. She has a wide range of skills and experience, both on the medicines counter and in the dispensary. She manages the pharmacy's delivery service.